The old-growth forests of Vancouver Island and the B.C. coast are Canada’s most valuable weapon in the battle against climate change, but they are being systematically destroyed, says a new report from Sierra Club B.C. to be released tomorrow. World leaders, gathering in Copenhagen to come up with a new agreement on climate change, are focusing on the need for carbon storage — and Vancouver Island has huge, natural carbon sinks. “B.C.’s coastal forests are among the best carbon storehouses on the planet and one of the world’s most powerful tools in the fight against climate change,” said Jens Wieting, Sierra Club coastal forest campaigner and a primary author of the report. Coastal temperate rainforests store about 1,000 tonnes of carbon a hectare, he said. But B.C. is in danger of losing its most valuable resource, the report says. “We are running out of old-growth forests,” Wieting said. The report finds that decades of “industrial logging” have reduced vast tracts of old-growth coverage to below the 30 per cent per ecosystem mark — the amount needed to preserve species. More than two million hectares of rainforest ecosystems on B.C.’s coast, mostly on Vancouver Island and the south coast, are now below the critical limit needed to sustain species, it says. That also has a huge effect on the ability to store carbon. “Vancouver Island has lost one million hectares of good and medium productivity old-growth rainforest, representing the loss of approximately 100 million tonnes of carbon storage,” the report says. Logging not only removes carbon-storage capability, it also contributes to the province’s greenhouse-gas emissions, through heavy equipment and the release of carbon dioxide when trees are cut. Logging on Vancouver Island alone has resulted in the addition of around 370 million tonnes of carbon dioxide to the atmosphere, more than five times the official annual emissions of B.C., the report says. Sierra Club B.C. president George Heyman believes there is now a public appetite for doing things differently. “For example, to minimize carbon emissions [from transportation], we need to process [logs] in B.C. We need to have secondary manufacturing. We shouldn’t just be willing to allow logs to be exported,” he said, adding that translates into more secure forestry jobs. Stringent logging and land-protection standards suggested in the report are the same as those used in the Great Bear Rainforest. This week, five companies operating on the central coast were given Forest Stewardship Council certification. “There is a growing market for environmentally certified wood products,” Heyman said. 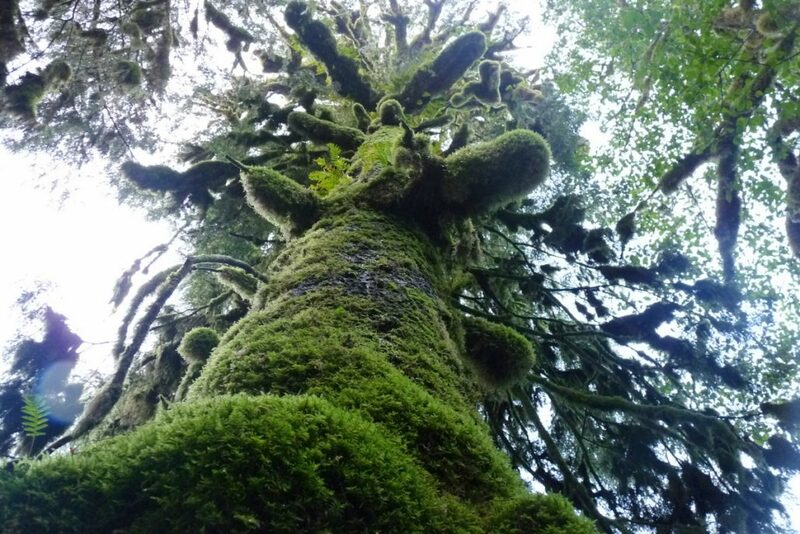 Efforts to protect remaining areas of old growth and identify older second-growth forest for conservation should now be focused on Vancouver Island, the report says. It’s a message that’s being repeated in Copenhagen this week by Ken Wu of the Western Canada Wilderness Committee, who is speaking at a forum on the importance of Vancouver Island’s forests in slowing climate change. 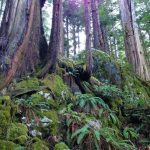 “The international community here will be amazed to learn about how spectacular B.C.’s coastal old-growth forests are and the incredible amounts of carbon they store per hectare — virtually unmatched in the world,” said Wu, who will also talk about the liquidation of Vancouver Island’s few remaining ancient forests. Richard Hebda, adjunct professor in the University of Victoria’s biology department, said managing climate change through conservation is becoming increasingly important. “We have a system that works and will continue to work if we treat it right,” he said. Any major disturbance in the forest releases carbon dioxide into the atmosphere, Hebda said.